Rothman Orthopaedic Specialty Hospital, a physician-owned facility designed by physicians for patients. We are dedicated to providing quality, patient-focused care. Rothman Orthopaedic Specialty Hospital offers a comprehensive and competitive benefits package. 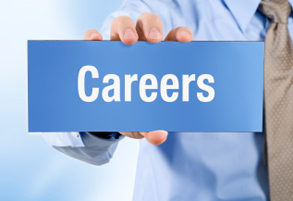 Rothman Orthopaedic Specialty Hospital is a equal opportunity employer. Click here to view equal opportunity material. Appearance – our appearance represents the hospital. Grooming and dress reflect the respect we have for our customers. While working, we will consider our customers’ expectations in how we present ourselves. Our manner and expression show concern and a willingness to serve our customers. Attitude – we are here to serve our customers and to treat them with courtesy. We must realize that surgery may cause anxiety in customers and their families. We are committed to providing the highest quality of service and meeting our customers’ needs with compassionate care and courtesy. Commitment to Team Members – as a team member we are linked to one another by a common vision and mission. We will recognize and respect each ones area of expertise. We will treat every co-worker as a professional. We will be supportive by offering help and setting an example of the cooperation expected in the workplace. Communication – we are committed to listening attentively to our customers in order to fully understand their needs. Close attention will be given to both verbal and nonverbal messages. Our messages to customers should be delivered with courtesy, clarity and care. Safety Awareness – we will act responsibly to ensure a safe and accident-free environment for each other and our customers. We recognize that accidents are often the result of fatigue, frustration and rushing. Sense of Ownership & Accountability – every staff member must feel a sense of ownership toward the hospital and his or her job. This means taking pride in what we do, feeling responsible for the outcomes of our efforts and recognizing that our work is a reflection of ourselves.